Center section for high production x-ray application. 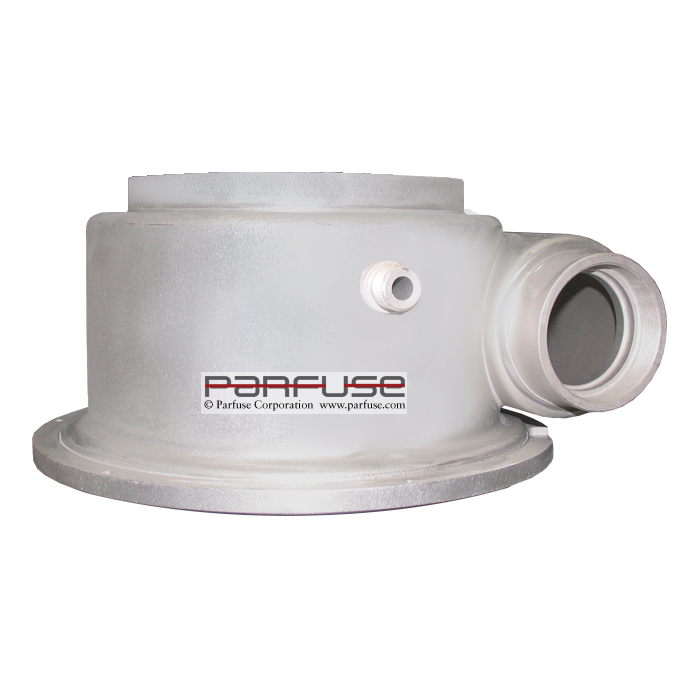 Along with anodes and cathodes, this is a high production unit, which is tested with helium at Parfuse to 10(-7) with success on a daily basis. 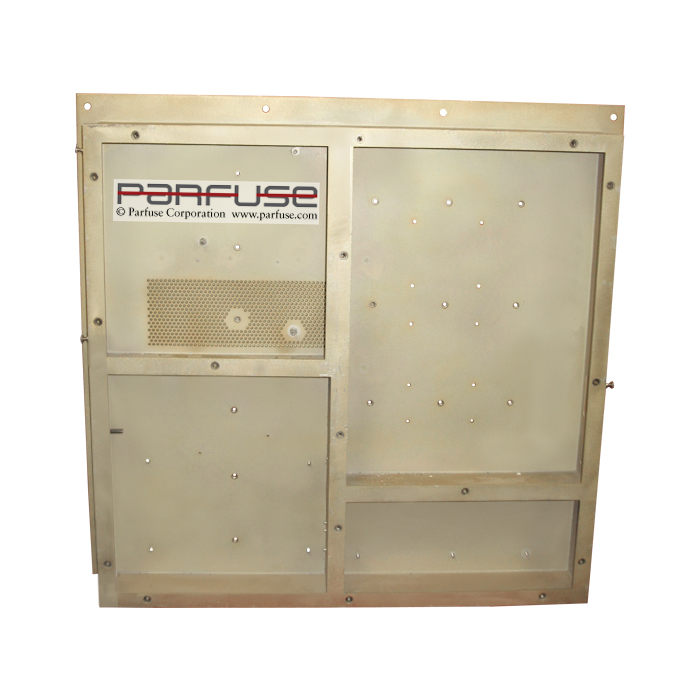 Electronic chassis used in the medical field which is 32" x 28" x 3" with compartments. EMI/RFI shielded for true use of x-ray imaging. 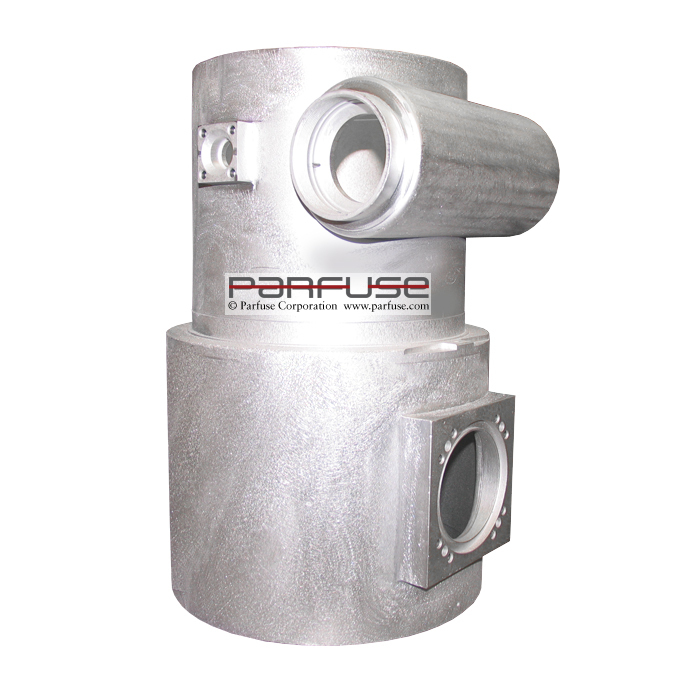 A medical A/C housing brazed into one configuration of an x-ray housing. A standard x-ray housing which shows both anode and cathode sections on one housing. 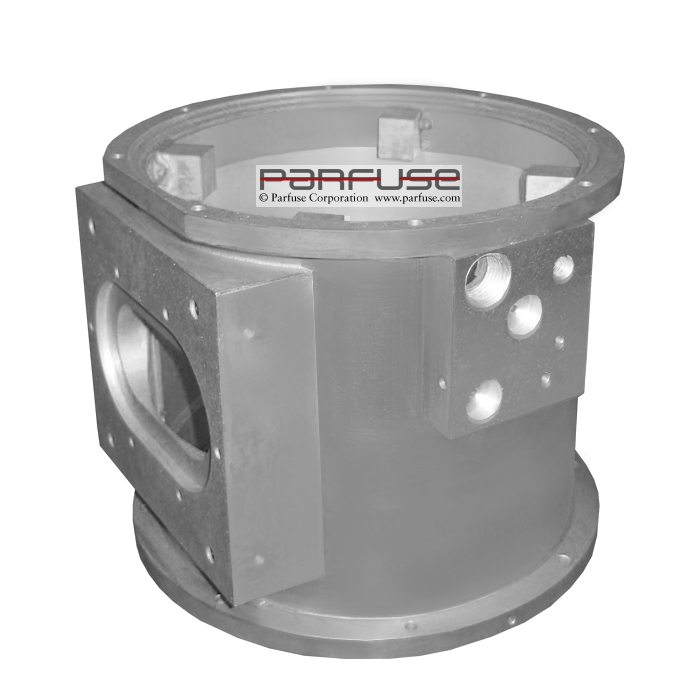 A General Electric housing centerlined from holes to horn ring within 2 degrees. 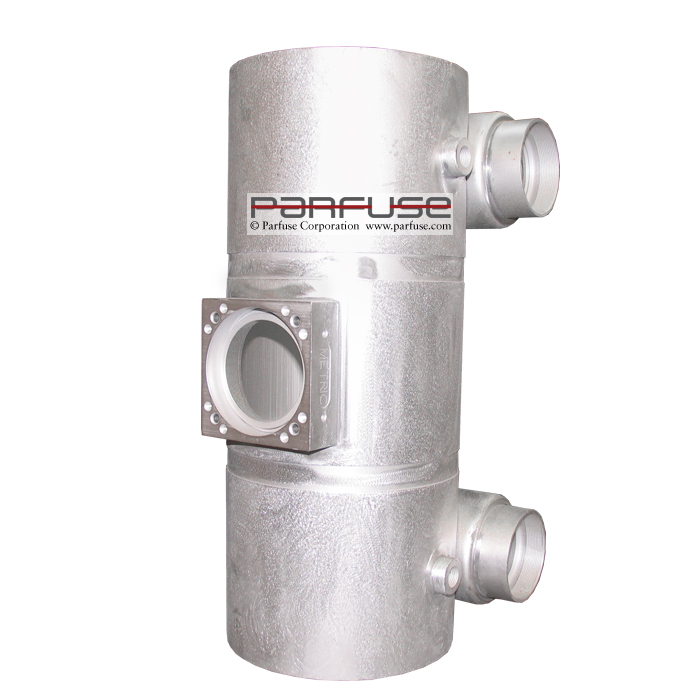 Leak tight like all of our dip brazed housings.